Pierre-Jerome Prepares for U20 Womens World Cup with Haiti | Football Club Prime Inc. Playing in a World Cup at any level is a dream for every young soccer player. Nights laying in bed envisioning themselves representing their nation on the biggest stage is what keeps most players up at night. 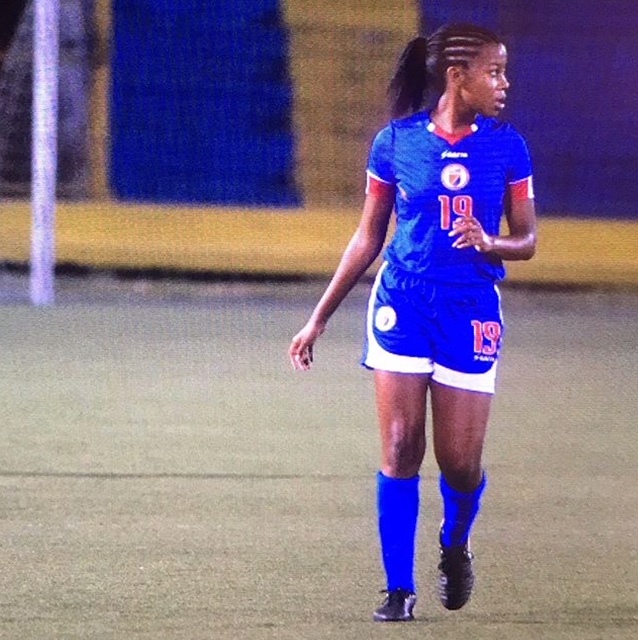 For Milan Pierre-Jerome that dream could soon be reality as she joins the under-20 Haitian Women’s National team for camp in France. With China, Nigeria, and Germany awaiting them when the Under-20 Women’s World Cup begins in August, the South Florida local joins her Haitian teammates for what she hopes is a deep run in the tournament. Though Pierre-Jerome and Haiti are no stranger to international tournaments. Just a short few months ago she was joining an under-17 side for Haiti that nearly shocked the world. After playing both Mexico and the United States close in both games, they fell just short of World Cup qualification in the 89th minute to Canada. “The experience was unforgettable” Milan describes. This style of play is what Milan and her teammates believe will take them far in the August tournament. There is an energy and passion in camp that has those involved feeling inspired. “Every single player I play with loves this game unconditionally. No matter where they are they will find a ball and play with their feet. Even here in France when we went to the beach to relax we took a soccer ball, drew a field with our feet in the sand, and played soccer.” says Milan.